Best value in the building!! !Gorgeous ground floor unit, 10 ft ceilings, gleaming laminate flooring, upgraded electrical, custom built-in’s & much more are all found throughout this must see condo! Kitchen is complete with upgraded appliances such as Fisher&Paykel, an integrated dishwasher, convection oven microwave, gas stove top, quartz counters, & under cabinetry lighting. Large living room has direct access to a stunning patio that offers a wood tiled floor & gas line for BBQ. The master bedroom features beautiful custom made California Closet inserts & a cheater en suite. The bathroom has quartz counters, lots of cabinet space, under cabinet lighting, large soaker tub, & a 10mm glass surround shower. In suite laundry and a large coat closet/storage area are also found within. 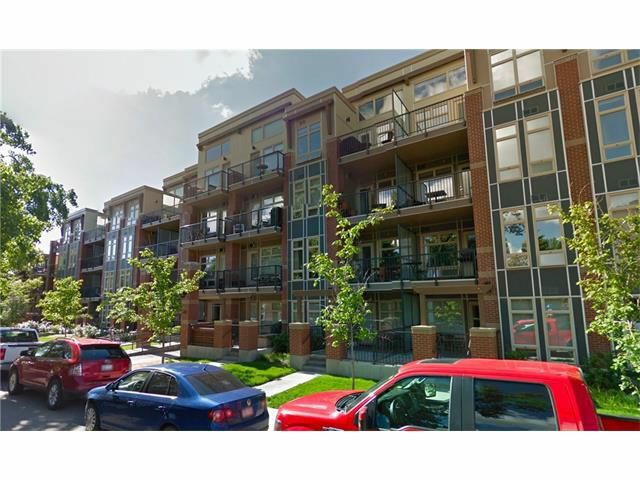 Titled parking stall, separate storage unit, communal garden, car wash, and bike storage are included with this great condo. Visitors are welcome with underground parking and free street parking! Green Built Building, with high safety rating & pet friendly. High end upgraded appliances Fisher & Paykel, all electrical has been upgraded throughout the unit & has recently had an upgraded safety inspection done . California Closet throughout the unit installed. Home owners have opportunity once a year to claim a garden plot of their own in the garden out back of the building. High walkability score. Experience the best of both worlds with the walk ability and lifestyle of being in the heart of downtown coupled with the feeling and all the amenities of a detached home. Majority of building is home owner occupied.